Call us to reserve your "Hunt of a Lifetime". 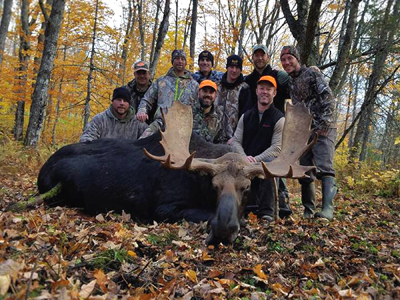 Hunt moose in WMD zones 3,6,2,1,4,5,7,8,9,10 with experienced and registered Maine moose guides. Check with us about swapping your cow tag for a bull tag, or changing your wildlife management district. 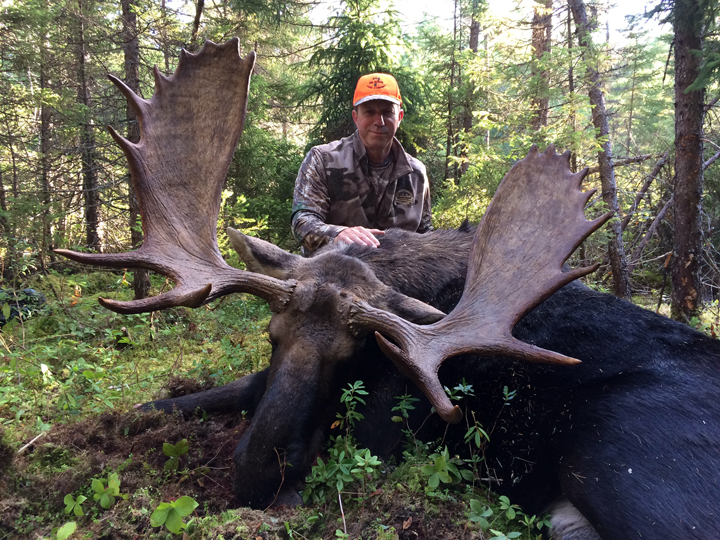 OMM is one of the few moose guide services that offer one on one calling for trophy bull moose. Calling during a moose hunt sounds easy, but there is much more to it than just calling. Call placement, wind direction, scent, sight, and sound, all factor into a successful hunt. The sound of your heart beating as the trophy moose of a lifetime snaps branches on his way to the sound of the call is beyond exhilarating it's heart stopping excitement. To make a moose hunt successful it also helps to have great tools. 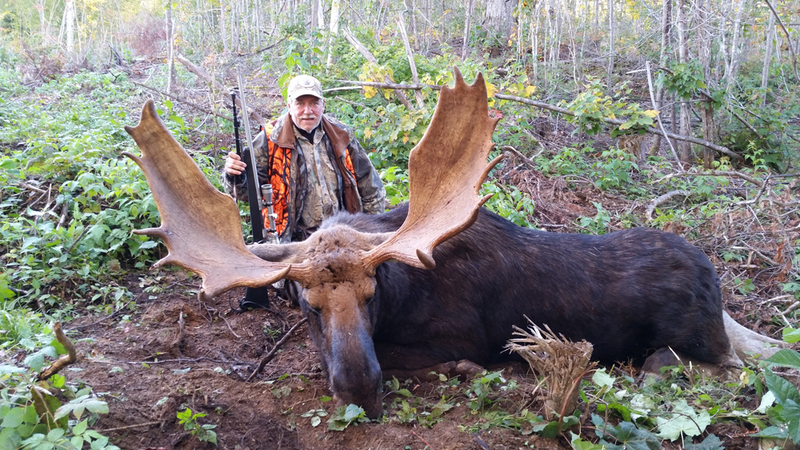 At OMM Outfitters we have what it takes for your once-in-a-lifetime moose hunt. Husky Bush Plane for scouting and delivery of supplies. Over 40 scouting cameras strategically placed. Professional guides skilled in packing out, calling, and have a passion for moose. Use of Garmin Rhinos featuring track lines of scouted areas for traversing and contact with other guides. Packers and spotters to assist in locating and recovery. OMM’s trained professionals work as a team. No long drives to the hunting areas. Utilizing private channel radio systems. OMM strives to work with our hunter’s capabilities. Our hunting techniques are always adapting to the ever-changing landscape and moose. OMM has hunted these areas for moose since 2003. Licensed and insured (including Liability, Commercial Auto, and Workmen's Comp.) for operations behind the North Maine Woods gates. Avoid disappointment from illegal guiding operations. State licensed lodging and meals and ServSafe Certified food service managers. After booking, we put you in touch with your guide and offer optional conference calls to learn and ask questions.